I'd been dreaming of coming to this castle for 16 years. When I was 7 years old, my dad went on a business trip to Munich and brought me back a giant poster of Neuschwanstein Castle covered in snow. As he told me stories of his visit to the castle - which is most famous for being the inspiration behind Disney's Cinderella castle - I imagined myself as a princess frolicking through the snow towards my enchanted fortress. That poster has been hanging in our bonus room ever since. The man who commissioned this castle, King Ludwig II of Bavaria, was a bit of a character. Okay, well, maybe more than just "a bit". Some people still ascertain that he was a nut job. Who can know for sure? Back in the late 1800s, King Ludwig II spent all of his royal funds pursuing extravagant architectural and artistic endeavors. During his reign, he built three over-the-top castles: Neuschwanstein, Linderhof and Herrenchiemsee. He also had a fervent obsession with the works of Richard Wagner. Inside Neuschwanstein Castle, you can find many vibrant frescos depicting scenes from Wagner's operas. Although he was well-loved by his Bavarian constituents, his lavish spending sent him into serious debt. His cabinet wanted to get rid of him, so they concocted accounts that portrayed Ludwig as mentally ill and therefore unable to rule. Although the king tried to argue against these accusations, he was quickly taken out of power. He mysteriously died the next day. Despite King Ludwig II's soap opera story and dramatic demise, his whimsical ambitions made Neuschwanstein that much more unique. This fortress was the most breathtaking castle I've ever seen, and I don't think any other castle can quite compare. I suppose these were Ludwig's precise intentions. Little did he know! - Take the shuttle bus to Mary's Bridge (Marienbrücke) to see the views before hiking down to the castle. The shuttle bus picks you up in front of Hotel Lisl above the ticket office and costs 1.80€ for a one-way ride. The downhill hike is about 10 minutes long. Be sure to buy your castle tickets at least 2 days before your visit. I recommend buying them at least a week in advance here. You can click here for more information on getting to the castle. *We wanted to allow ample time for exploring and taking photos, so we scheduled our tour for 2:25, took the 8:53 train to Füssen, and picked up our tickets at the ticket booth before 1:25. We could have taken the 9:53 train and been okay on time - and that train would have also been covered by our Bayern ticket. We got back to Munich just in time for dinner. Although it was a long day, we were glad we took our time so we didn't have to rush through the sights. What is your favorite castle in Europe? 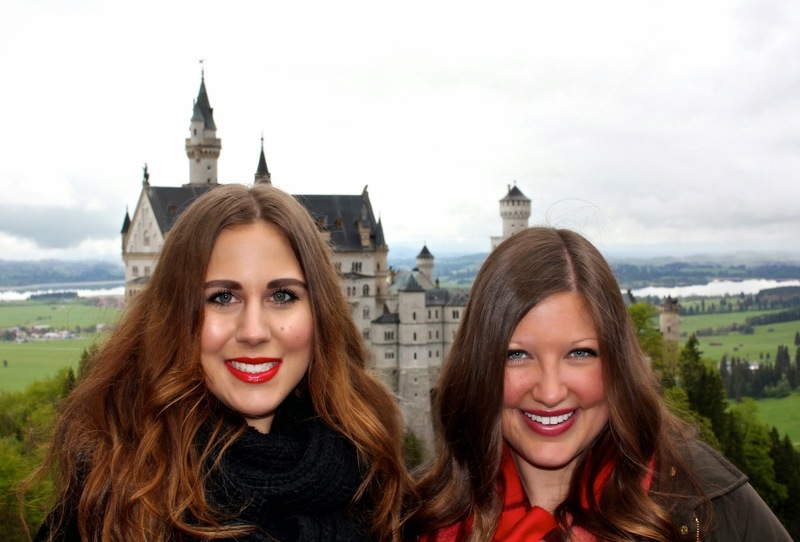 26 comments on "Neuschwanstein: A Bavarian Fairytale"
I was sadly disappointed with my visit. No one at my hostel told me about the discount card, so I easily paid twice what you did, if not more. It was crawling with tourists, overpriced for seeing what I considered to be very little, and the bridge was out. Should have stuck with my gut an not gone! Neuschwanstein looks beautiful! Even though it may be touristy, I would brave the crowds to see it. Like Versailles, I think it's one of those touristy places that still deserves a look! Visiting from the linkup! Wow, those pictures are so amazing! I would love to visit a castle! Oh my goodness! Your photos are amazing and this looks like a wonderful place to visit! These are great tips! We visited in April and it was so beautiful. The bridge was a bit scary though! Thank you! It's definitely one of the most magical places I've been to! Wow, looks sooo gorgeous there. Can't wait to get to Germany!! Fabulous photos! We visited friends in Munich a few years ago and they drove us all around this area. I remember them mentioning that the castle was the inspiration for the Disneyland one. Stunning! I'm also a fan of the French châteaux in the Loire Valley. This has been the number one castle on my list that have to see! Every time I see pictures of it I fall just a little more in love with it! Were you there recently? It looks cold! Oh fun! I really loved Munich. I bet you got to see so many cool things since you had a local's expertise! (And it's always easier to see things with a car!) I'd love to go back again someday and explore more of Bavaria. I definitely love that place too! King Ludwig...quite possibly my favorite king in history. One of my good friends is from a town outside of Munich so she told me all about him. I made it to Herrenchiemsee but didn't make it to this castle. I need to go back! Same here! His life story is so crazy and fascinating. I bet visiting Herrenchiemsee was so cool. I'd love to make it there one day! Wow, you got perfect weather-- your photos are gorgeous! I went in November 2007 to be greeted by fog and more fog... I couldn't even see the lake (bummer)! I'm not sure I'll be back but I might like to look at the castle from afar. It's got to be one of Europe's most beautiful. Wow - what gorgeous photos. 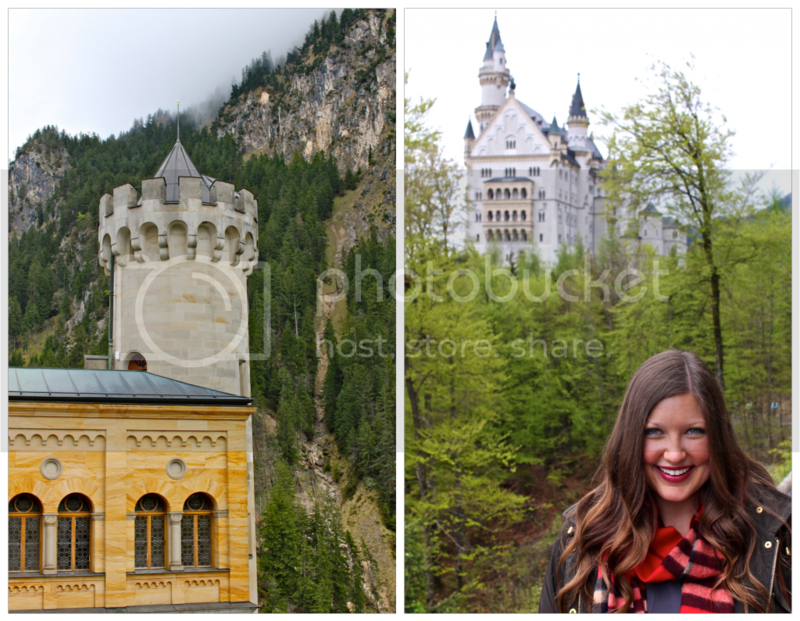 Visiting Neuschwanstein Castle has been high on my travel list for ages. I especially want to go in winter when the landscape is covered in snow. Thanks for the travel info. Oh no! I'm so sorry you got stuck with fog. That's horrible! I definitely agree that it's one of Europe's most beautiful castles though! Ooh I bet it is so gorgeous in the snow! But it is probably insanely freezing then. I went in early May, and even then it was really cold! So far my favorite castle in Europe is the Palace in Sintra! I've never seen anything like it! This pictures are UNREAL. Amzing post!